The team lost two successive domestic defeats, then suffered a home draw in their first Champions League Group Stage fixture against Esperance and were defeated on Tuesday by Kampala in Uganda. The return of midfielders Saddam Juma and Muzamiru Mutyaba is a big boost for KCCA FC as they prepare to take on record winners Al Ahly (Egypt) today at Mandela National stadium, Namboole in the CAF Champions'League group stages. 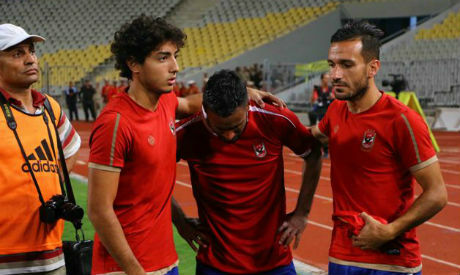 In the second half, Al-Ahly's coach Hossam el-Badry seemed pleased by the score until Kampala surprised him with the first goal in the 75th minute. The Egyptians, losing finalists past year played a better first half but were a shadow of themselves after the break as KCCA scored through Ibrahim Sadam Juma and Timothy Awany late penalty. A statement by the club, who have already won the Egyptian league title, said its football committee will be discussing the way forward. Esperance will take on Township Rollers in Tunis in the other game of group A.
Kampala began with a 1-0 loss at fellow group newcomers Township Rollers of Botswana, making the Ahly clash a must-win affair for them to have a realistic chance of progress. Rollers fell behind for the second time 35 seconds into the second half when Anice Badri scored and he struck again in stoppage time after Bilel Mejri added a third. In Group B, DRC giants and reigning Confederation Cup champions TP Mazembe made it six points from their first two matches when they beat Difaa El Jadidi 2-0 in Morocco. Defending champions Wydad Casablanca are top of Group C on four points after their 3-0 victory over AS Togo Port in Casablanca. In Group D, Felix Badenhorst scored on the hour to give Mbabane Swallows of Swaziland a 1-0 home win over Primeiro d Agosto of Angola in Manzini.